For the American soccer player, see Cesar Romero (soccer). Cesar Julio Romero Jr. (February 15, 1907 – January 1, 1994) was an American actor, singer, dancer, voice artist, and comedian who was active in film, radio, and television for almost 60 years. His wide range of screen roles included Latin lovers, historical figures in costume dramas, characters in light domestic comedies, and as the Joker in the Batman television series, which was included in TV Guide's 2013 list of The 60 Nastiest Villains of All Time. Romero was born Cesar Julio Romero Jr. in New York City on February 15, 1907, the son of Cesar Julio Romero Sr. and Maria Mantilla. His mother was said to be the biological daughter of Cuban national hero José Martí. His father was also Cuban and an importer-exporter of sugar refining machinery. His mother was a concert singer. He grew up in Bradley Beach, New Jersey, and was educated at Bradley Beach Elementary School, Asbury Park High School, the Collegiate School, and the Riverdale Country Day School. However, that lifestyle changed dramatically when his parents lost their sugar import business and suffered losses in the Stock Market Crash of 1929. Romero's Hollywood earnings allowed him to support his large family, all of whom followed him to the American West Coast years later. Romero lived on and off with various family members (especially his sister) for the rest of his life. 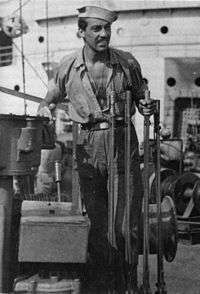 In October 1942, he voluntarily enlisted in the United States Coast Guard and served in the Pacific Theater of Operations. He reported aboard the Coast Guard-manned assault transport USS Cavalier in November 1943. According to a press release from the period, Romero saw action during the invasions of Tinian and Saipan. The same article mentioned that he preferred to be a regular part of the crew and was eventually promoted to the rating of Chief Boatswain's Mate. At 6'3" Romero was very tall for an actor, and routinely played "Latin lovers" in films from the 1930s until the 1950s, usually in supporting roles. He starred as the Cisco Kid in six westerns made between 1939 and 1941. Romero danced and performed comedy in the 20th Century Fox films he starred in opposite Carmen Miranda and Betty Grable, such as Week-End in Havana and Springtime in the Rockies, in the 1940s. He also played a minor role as Sinjin, a piano player in Glenn Miller's band, in the 1942 20th Century Fox musical, Orchestra Wives. In The Thin Man (1934), Romero played a villainous supporting role opposite the film's main star William Powell. Many of Romero's films from this early period saw him cast in small character parts, such as Italian gangsters and East Indian princes. Romero had a lead role as the Pathan rebel leader, Khoda Khan, in John Ford's 1937 British Raj-era actioner Wee Willie Winkie and The Little Princess alongside Shirley Temple. He also appeared in a comic turn as a subversive opponent to Frank Sinatra and his crew in Ocean's 11. 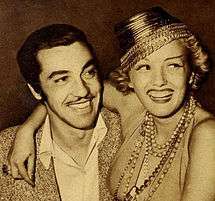 Romero was also a romantic if aggressive leading man in films such as Allan Dwan's 15 Maiden Lane (1936) opposite Claire Trevor, in which he spins Trevor around in a dance sequence, and played the key role of the Doc Holliday character (with name changed to "Doc Halliday") in Dwan's Wyatt Earp saga Frontier Marshal three years later. 20th Century Fox, along with mogul Darryl Zanuck, personally selected Romero to co-star with Tyrone Power in the Technicolor historical epic Captain from Castile (1947), directed by Henry King. While Power played a fictionalized character, Romero played Hernán Cortés, a historical conquistador in Spain's conquest of the Americas. Among many television credits, Romero appeared several times on The Martha Raye Show in the mid 1950s. He portrayed Don Diego de la Vega's uncle in a number of Season 2 Zorro episodes. In 1958, he guest-starred as Ramon Valdez, a South American businessman, who excels at dancing the Cha-Cha with Barbara Eden in her syndicated romantic comedy, How to Marry a Millionaire in the episode entitled "The Big Order". He performed the mambo with Gisele MacKenzie on her NBC variety show, The Gisele MacKenzie Show. He guest-starred in 1957 on CBS's The Lucy–Desi Comedy Hour on the first episode of the seventh season ("Lucy Takes a Cruise to Havana"). He also played the character Don Carlos, a card shark on the episode, "The Honorable Don Charlie Story," of NBC's Wagon Train. On January 16, 1958, he appeared on The Ford Show, Starring Tennessee Ernie Ford. In 1959, Romero was cast as Joaquin in the episode "Caballero" from The Texan. In 1960, he was cast as Ricky Valenti in "Crime of Passion" from Pete and Gladys. In 1965, Romero played the head of THRUSH in France in "The Never Never Affair" from The Man from U.N.C.L.E. From 1966-68, he portrayed the Joker in Batman. He refused to shave his moustache for the role and so, the Joker's white face makeup was simply smeared over it when playing the supervillain throughout the series' run and in the 1966 film. In the 1970s, Romero portrayed the absent father of the Freddie Prinze character Chico Rodriguez in Chico and the Man, and later Peter Stavros in the television series Falcon Crest (1985–1987). Among Romero's guest star work in the 1970s was a recurring role on the western comedy Alias Smith and Jones, starring Pete Duel and Ben Murphy. Romero played Señor Armendariz, a Mexican rancher feuding with Patrick McCreedy (Burl Ives), the owner of a ranch on the opposite side of the border. He appeared in three episodes. Apart from these television roles, Romero appeared as A.J. Arno, a small-time criminal who continually opposes Dexter Riley (played by Kurt Russell) and his schoolmates of Medfield College in a series of films by Walt Disney Productions in the 1970s. He also appeared in a sixth-season episode of The Golden Girls, where he played a suitor named Tony Delvecchio for Sophia who disappoints her when she tells him "I love you" after a night of passion and he doesn't return the sentiment. Romero never married and had no children, but made frequent appearances at Hollywood events escorting actresses, such as Joan Crawford, Linda Darnell, Barbara Stanwyck, Lucille Ball, Ann Sheridan, Jane Wyman, and Ginger Rogers; he was almost always described in interviews and articles as a "confirmed bachelor". Many Hollywood historians have speculated that Romero was a closeted gay man. Romero was a registered Republican and, in October 1960, he appeared in the Nixon-Lodge Bumper Sticker Motorcade Campaign. On January 1, 1994, Romero died from complications of a blood clot while being treated for bronchitis and pneumonia at Saint John's Health Center in Santa Monica, California, at age 86. His body was cremated and the ashes were interred at Inglewood Park Cemetery in Inglewood, California. The Americano (1955) as Manuel Silvera / "El Gato" / Etc. Romero got an honorary mention in the popular television series MASH 4077 in Season 4 Episode 2 (Change of Command). ↑ Bretts, Bruce; Roush, Matt; (March 25, 2013). "Baddies to the Bone: The 60 nastiest villains of all time". TV Guide. pp. 14–15. ↑ Candelaria, Cordelia. Encyclopedia of Latino Popular Culture, Volume 2. ↑ Voger, Mark. "'Batman' TV cast on the creation of a camp classic", NJ Advance Media for NJ.com, November 8, 2014. Retrieved November 15, 2014. "CESAR ROMERO – The actor who created the role of the Joker lived in Bradley Beach as a child, and attended Bradley Beach Elementary School and Asbury Park High School." ↑ Bill Cotter. "Zorro Episodes Descriptions Second Season: 1958-59". Bill Cotter. Retrieved December 10, 2008. ↑ "The Texan". Classic Television Archive. Retrieved January 31, 2013. ↑ Lees, Alfred W. and Ronald Nelson (1999). Longtime Companions: Autobiographies of Gay Male Fidelity. Binghamton NY: Haworth Press. pp. 17–18. ISBN 0-7890-0641-3. ↑ Bret, David (2006). Joan Crawford: Hollywood Martyr. New York: Carroll & Graf. p. 81. ISBN 0-7867-1868-4. ↑ Foster, David William (2004). Queer Issues in Contemporary Latin American Cinema. Austin: University of Texas Press. ISBN 978-0-292-70537-1. ↑ Gans, Eric (2008). Carole Landis: A Most Beautiful Girl. Jackson: University Press of Mississippi. p. 80. ISBN 978-1-60473-013-5. ↑ Griffin, Sean P. (2000). Tinker Belles and Evil Queens: The Walt Disney Company from the Inside Out. New York: NYU Press. p. 98. ISBN 978-0-8147-3122-2. ↑ Karol, Michael (2004) Lucy A to Z: The Lucille Ball Encyclopedia iUniverse. p.177. ISBN 9780595752133. Quote: "Romero ... was "outed" after his death by Boze Hadleigh..."
↑ "Cesar Romero, Actor, Dies at 86; A Suave Player in Films and TV". The New York Times. 1994-01-03. ISSN 0362-4331. Retrieved 2016-11-26. 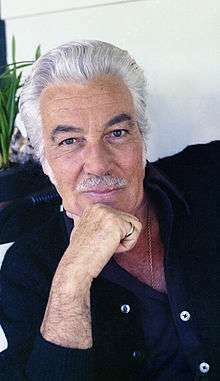 ↑ "Cesar Romero (1907 - 1994) - Find A Grave Memorial". www.findagrave.com. Retrieved 2016-11-26. ↑ Kirby, Walter (November 16, 1952). "Better Radio Programs for the Week". The Decatur Daily Review. p. 48. Retrieved June 18, 2015 – via Newspapers.com. 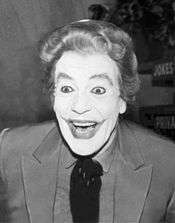 Wikimedia Commons has media related to Cesar Romero. Steve Starr (2006). "Cesar Romero". Entertainment Magazine. Retrieved 2007-05-20.